These wedding pics are sure to catch your eye at least because of the longest wedding reception table you can imagine! Let’s take a look at them. 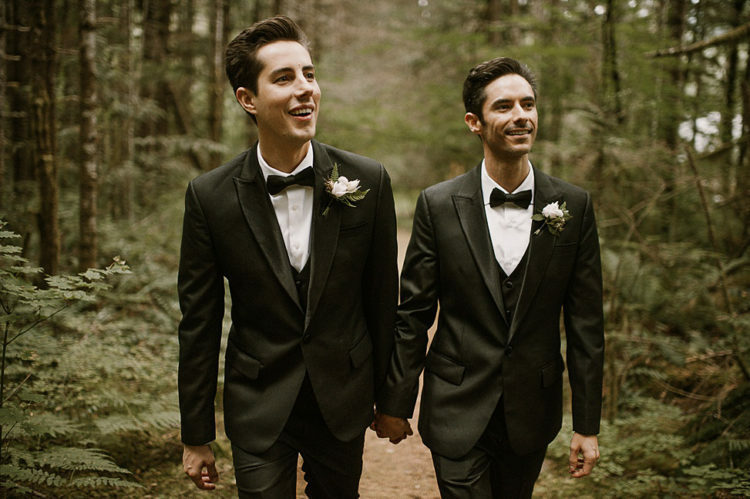 Michael and Bradley wanted a loving and happy wedding surrounded by close friends and family, tucked away in the majestic forest. 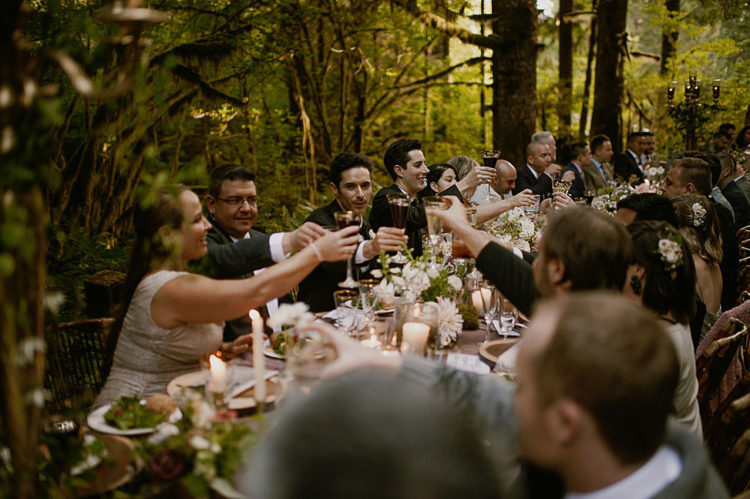 It was Labor Day weekend, there were 100 guests and the wedding took place in the forest in Washington. 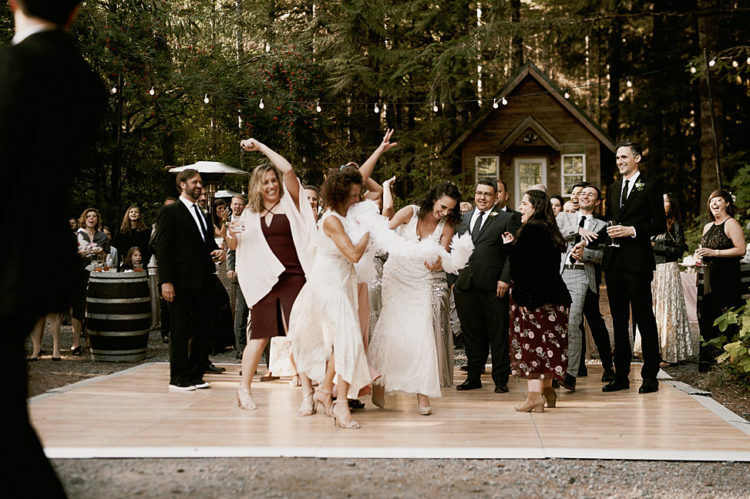 The entire family and friends stayed on site in rustic cabins tucked into the forest. The couple did a few projects ourselves, which helped save some money. 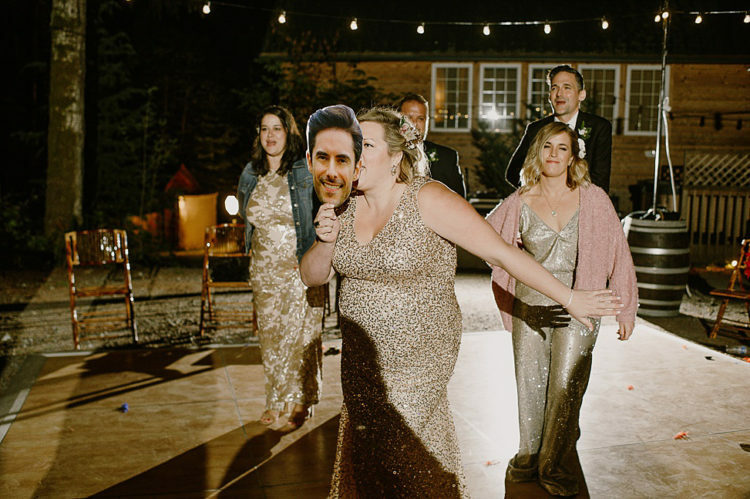 Bradley wrote the calligraphy on all place cards; inside each guest’s place card was a handwritten letter detailing their favorite moment with each guest. They also bundled their own lavender and hand dipped them in gold. The nine-foot altar arch at the ceremony was made of driftwood. 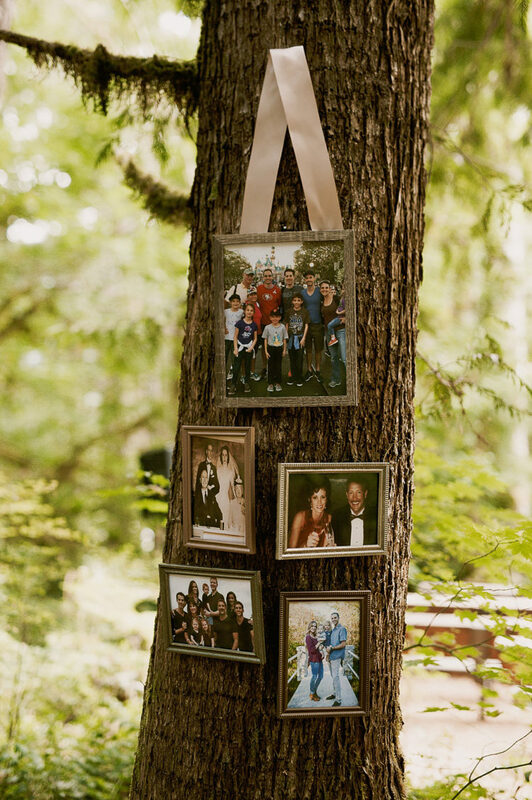 The couple created real “family trees” by hanging family photos on trees that lined the trail to the ceremony. They used the website Joy to send out their electronic invitations. 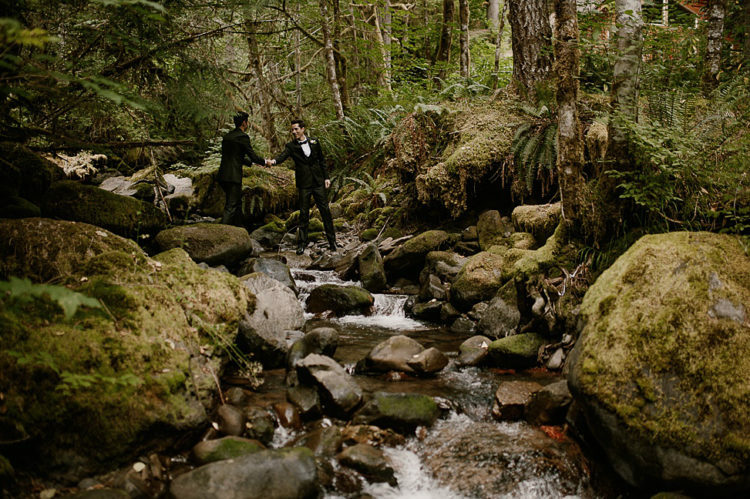 The ceremony was encircled by huge trees deep in the forest at the base of Mount Ranier; we stood on a stone alter. 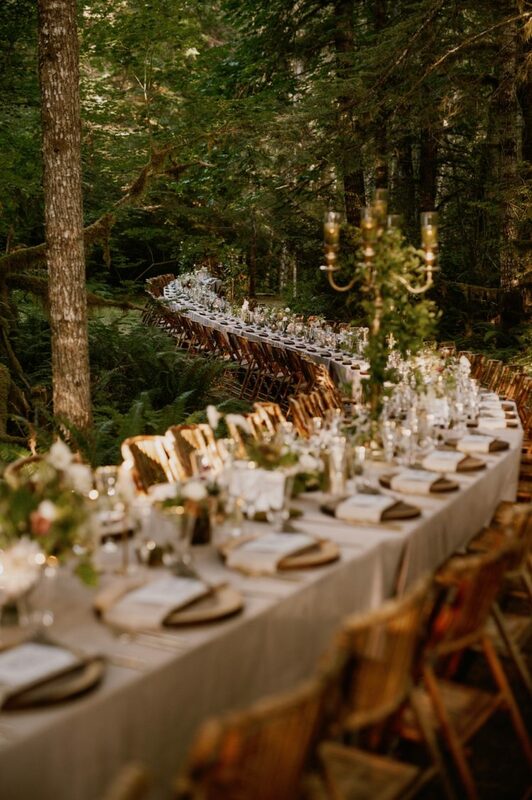 Natural wood benches were designed and nailed into the forest floor for their guests. 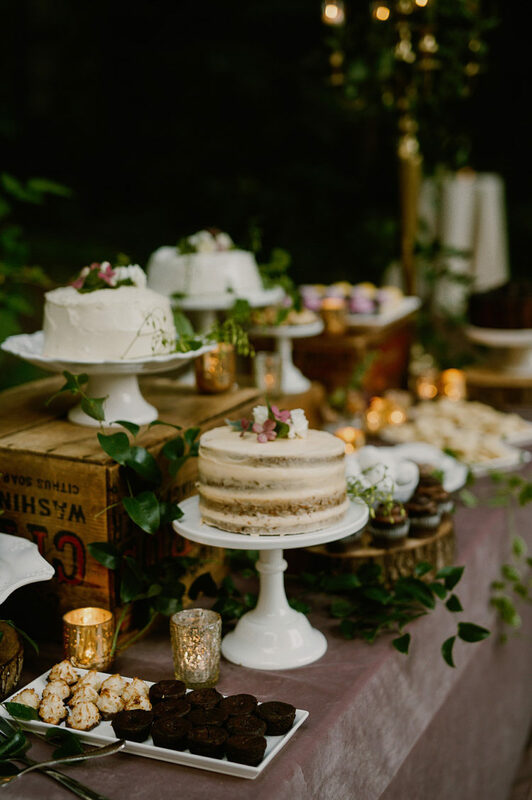 The dinner snaked endlessly down an exquisite nature trail; the lights from the candelabras twinkled on the dinner table that was canopied by the natural branches of the forest. 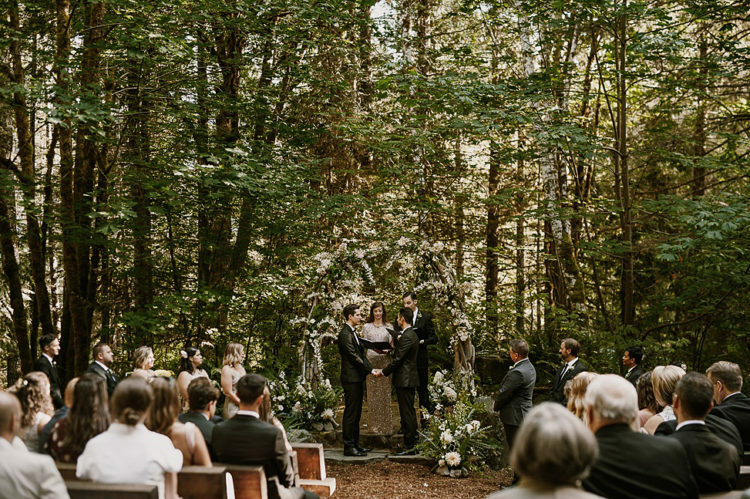 The wedding reception was also centered in the woods, where they wrapped string lights from tree to tree. The night ended with a bonfire, a cannabis station, fifteen delivered pizzas, and s’mores. 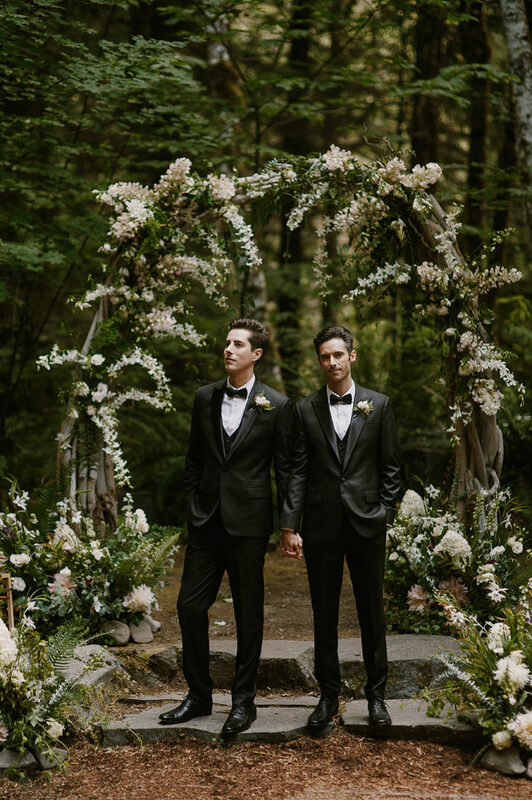 Take a look at this gorgeous wedding and get inspired!